In the course of many years, the role of pets in a household has evolved from being house guards to a more personal level. Pets have become a friend to the friendless and lonely; provide emotional support to the weary. And so it is just but natural that losing a pet equates to losing a part of you. It’s already heartbreaking if our pets get lost, what more if they say goodbye to us forever? The devastating effects of losing pets is just too much – from the moment you become aware that the house is too quiet to missing the weekend walks you used to have with your dog. For many pet parents who may have lost their furry pals, taking in a new pet can even seem inappropriate; a betrayal of the memories shared with the one that just passed. They’re irreplaceable, we know. But at some point, one has to move on. While some would contend with more traditional ways like burying the pet, there are also other ways to close off that beautiful chapter of your life. Worry not. 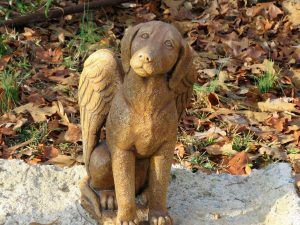 We’ve made it easier for you as we have listed 10 of the most creative ways to memorialise your pet. A few lines reminiscing the wonderful memories you had with your pet may be the bitter-sweet goodbye that you need. Obituaries, while common in humans, can also be written for pets. Perhaps you can write about the day your pet was born or how you have been entranced by its look the first moment you laid eyes on it. Or you can write about its favourite food, song, or even list down its achievements like the day it won awards at a fair. Having it published in a paper may be expensive but if you feel like going for the cheaper version, you can have it posted online. This is the most common type of closure. While death is a bitter pill to swallow, burying your pet can finally provide you with the closure you have been longing to have. You can perhaps bury your pet in your backyard or you can choose a special place – a favourite spot perhaps while it was still alive. No matter where it is, it should provide your pet a final resting place where you can one day lay down flowers on and look back at memories with fondness. Think about those that have been a part of your pet’s life. It can be your family, your friends, and even neighbors who genuinely care and are saddened by the loss of your pet. You can invite your friends and family for a memorial service. It can be in your backyard, at home or somewhere significant to you and your pet. A eulogy here, a memory there; you would be surprised at how much your pet has touched lives – not just yours but everybody else’s. One of the newest options to hit Australian soil is the introduction of Bios Urn. These biodegradable urns are made to transform your pet’s ashes into a tree, a shrub or any plant of your own choosing. Bios Urns are made of two parts – the organic potting mix with the seeds on top and the space for your pet’s ashes below. Burying the Bios Urn converts your pet’s ashes into a growing plant, tree or shrub. As they say it, it’s life after life; a new life from the old, a living fragment of your devotion for this beautiful creature that now, in a new form, continues to live. Scour around the internet and you’d find numerous companies that can create your photo book for you. Seeing it would bring back moments of joy spent with your pet. Looking at your old photos would unearth a handful of memories. It may be sad at first. It’s normal. But going through this phase is something that you have to experience to get over the pain of loss. Through this, you are able to finally retain fond memories to cherish for years to come. Some pet parents may find photo books to be so old school. Besides, with photo books, there is the harm of floods, termites or new pets that could probably destroy or shred the photos into pieces. Take advantage of the newest in technology and reserve a space online for your pet. Make it collaborative so friends and family members whose lives have been touched by your pet can also contribute. Pets have already become a part of our lives. When a pet dies, it leaves a gaping hole that’s hard to fill. What better way to attempt filling this emptiness than by commissioning artworks in honour of that pet. It can be a painting done by a local (or not) artist, an engraving or anything artsy that reminds us of the loving pet that once lived with us. While some pet parents would go for Bios Urns which turn pet ashes into plants (or even trees! 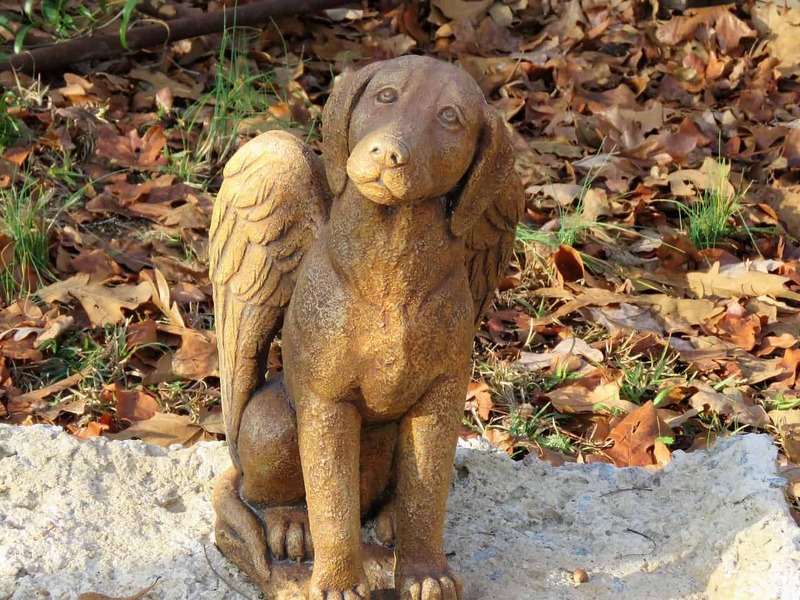 ), some prefer to have their pet’s ashes kept in decorative urns which they keep. Of course, there is always the fear of the urn falling from the mantel and breaking – scattering the ashes everywhere. But there are still those who would risk it; seeing that a part of their pet is still with them. There are many ways by which you can keep your pet’s ashes close to you. Some could be as explosive as putting the ashes in fireworks, to incorporating it in a painting – the possibilities are endless. A creative (but expensive) way by which you can keep your pet’s ashes close is to have it part of jewellery. It can be in a gem which studs a ring, or it can also be worn as a pendant to your necklace. This way, your pet is closer to you as ever. Probably one of the most beautiful ways to commemorate your pet is to contribute to the welfare of the pet world. You have hundreds of options to choose from – from volunteering your services to rescue groups and shelters to sending over your financial contributions. Nothing can ever be as satisfying as paying it forward. Submitting to charity works in honour of the pet that passed away is an amazing way to have it memorialised. It is only through charity that you are able to show your love by improving the quality of life of these animals that need it the most.